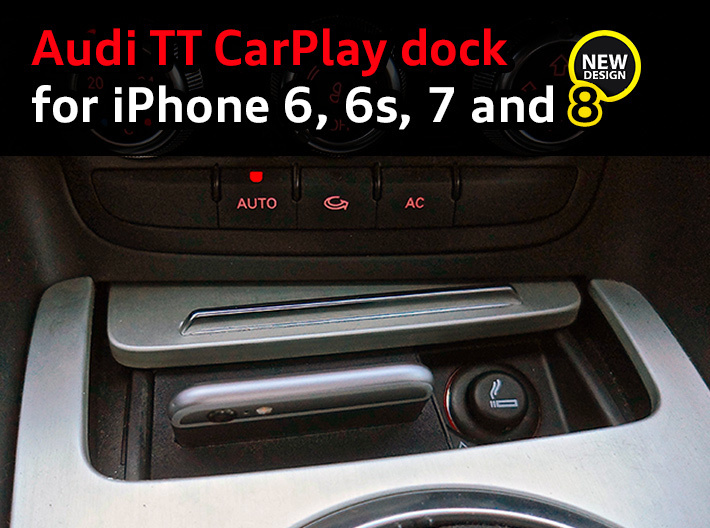 This iPhone CarPlay dock is made exclusively for the Audi TT, TTS and TTRS Mk2 Coupé & Roadster (Type 8J, 2006–2015). Get directions, make calls, send and receive messages, listen to music… all with Siri, focusing safely on the road. Just slide your iPhone in and go. 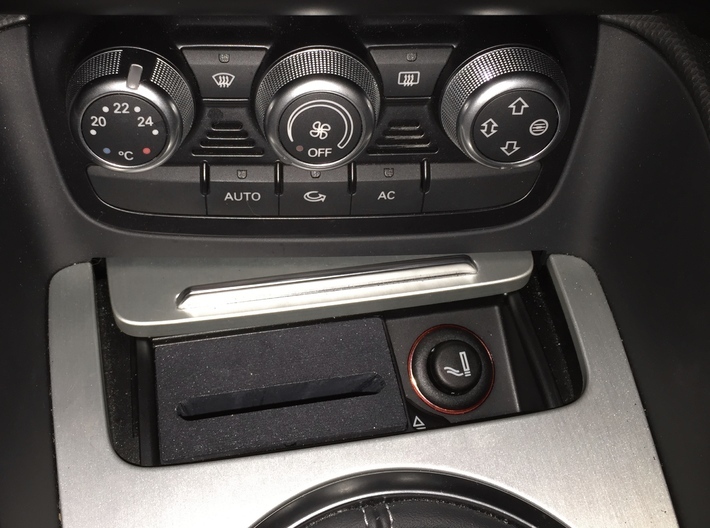 The dock naturally replaces the old ashtray in front of the gearstick. 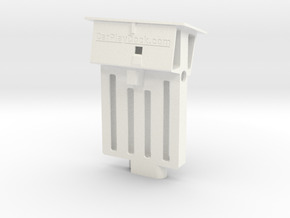 It recharges your iPhone and displays the CarPlay interface right on your compatible head unit. 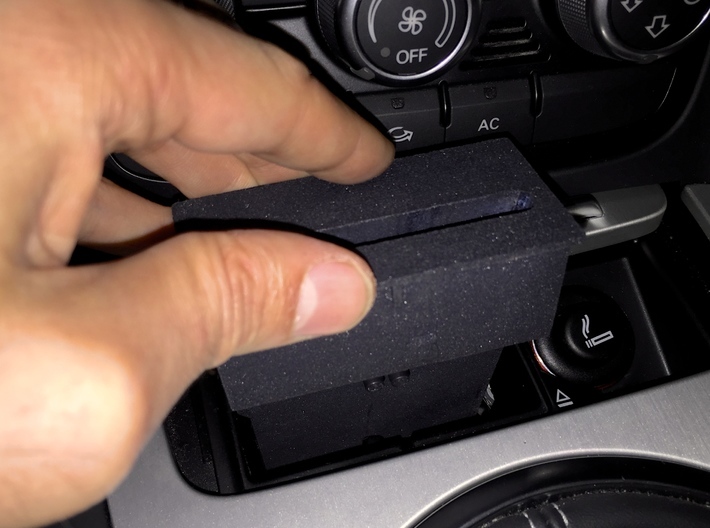 * No need to bend and search for a Lightning cable in the glove box anymore. 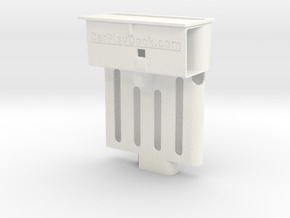 Unlike other products on the market that are just simple plates with a Lightning connector popping out, the iPhone CarPlay dock for Audi TT is a true "slide & go" solution that doesn’t occlude air conditioner controls, and securely holds your iPhone in place even when braking, driving on a bad road or over speed humps. It remains flush on the center console and looks like an elegant solution made on purpose for the TT. This version is made for iPhone 6, iPhone 6s, iPhone 7 and iPhone 8. 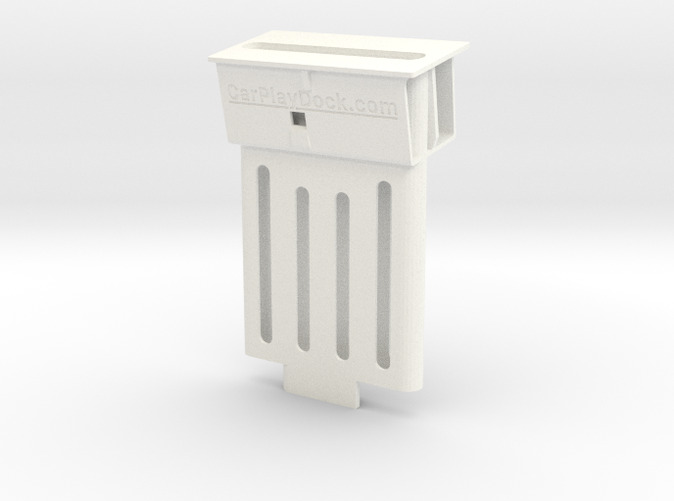 If you have a protective case, or for different iPhone models, please check out other docks available in the shop. * Perfect with an aftermarket head unit from Alpine, Pioneer, Kenwood or Sony.